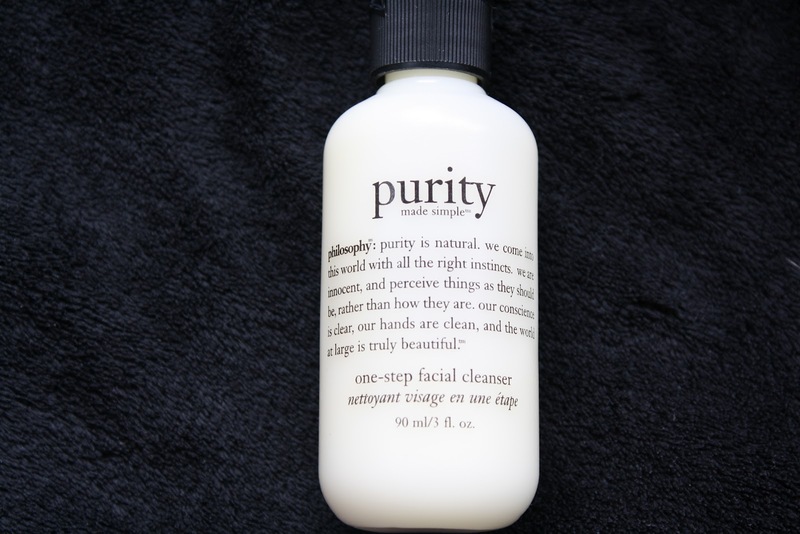 As far as shower and bath products go, Philosophy is hands down, my number one favourite and now the cheeky American brand has gone and converted me to their best selling cleanser - Purity Made Simple. It's actually quite rare for me to repurchase cleansers, because I'm constantly enticed by the plethora of new skincare products that keep popping up in Boots, but I'm on my second bottle of this, and for very good reason too. Gentle yet effective, this award winning cleanser is a multi tasking wonder product that melts off make up, deeply cleanses the skin and conditions the complexion all at the same time. The best bit? This stuff doesn't sting my (relatively sensitive)eyes, so removing mascara is fuss free and eyeball friendly. Massage a little dollop into dry skin for about 30 seconds and rinse with warm water. I usually repeat this but it's probably not necessary! A few unpronounceable's (such as sodium trideceth sulfate) and a whole load of nourishing and cleansing bits including rosewood, sage, carrot and sandalwood oils and pepper seed extract. 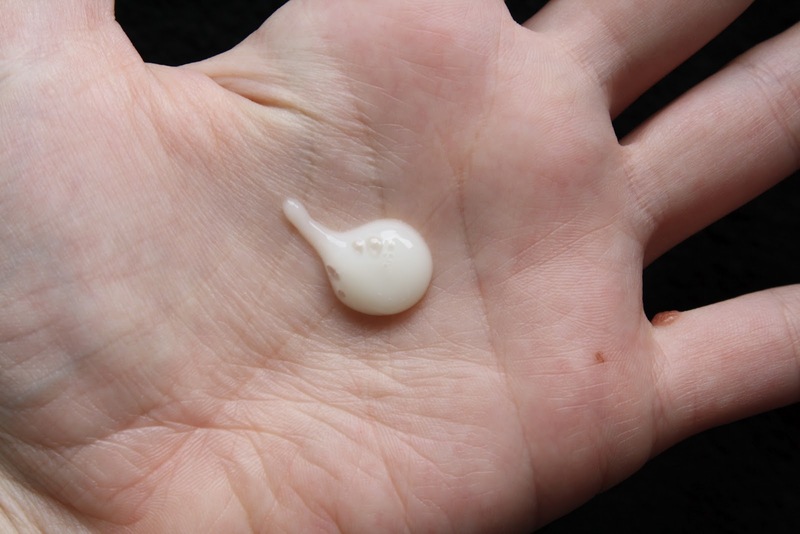 Somewhere between a gel and a cream that slightly foams upon contact with water. This is essentially unscented, but I can definitely smell something a bit peppery. I buy the little 90ml bottles of this from Boots for £8 (a great size if you just want to give it a try for a few weeks) but you can also get your hands on a 240ml bottle for £17.50. Purity Made Simple is easy to use, effectively removes a full face of slap and leaves my skin squeaky clean yet hydrated in one step. All in all, I love this product. 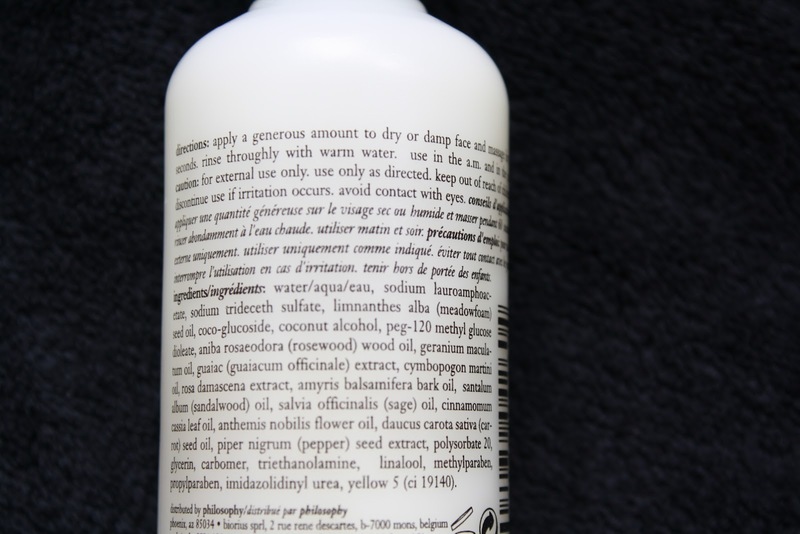 You can find Philosophy products at Boots, online and at department stores. Have you tried any of Philosophy's skin care products?